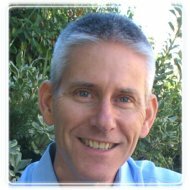 San Diego Therapist: Scott Wood - Therapist 92108. Send A Message To Scott. I am a licensed marriage and family therapist in private practice. I work with individuals, couples, and families to help develop secure connections, heal relationships, and craft manageable solutions. Since you are reading this, there is a good chance that you are looking for some support in coping with and working through some difficulties in your life. Most people have a number of questions when selecting a therapist. First, does the therapist have the training and knowledge to competently help with my needs? Second, do I feel the therapist has the life experience to understand my situation and has the therapist seen similar problems solved before? Third, opening your deepest hurts and fears to someone is difficult. You may be asking “is this someone who I can connect with, who can help make therapy feel like a safe place?” Fourth, is the therapist’s philosophy of therapy consistent with my own views of what I want from therapy? Allow me to address each of these. Education and Training. Abraham Maslow observed, “If all you have is a hammer, everything looks like a nail.” We are all unique individuals and one approach is not right for every individual and situation. In addition to my formal education, I have received additional training in a number of areas of therapy. · San Diego Hospice trained in counseling for bereavement and end of life issues. Life Experience. My wife and I have been married for 33 years. We have two adult daughters. Prior to entering the field of therapy, I worked in banking for 25 years. I have been serving in a variety of Christian lay ministries for about 25 years. Prior to entering private practice, I was a counselor with San Diego Hospice. Between direct experience and the experience of others, I have understanding of the different stages that couples, families, and individuals cope with throughout a lifetime. Relationship Between Therapist and Client. This is an area that is critical for therapy and one in which one really needs to speak with the therapist to assess your comfort with the therapist. I find that the choices individuals make and the way they respond makes sense when we understand the context and experience that they have. My intent is to create an environment in which clients can feel understood, supported, and accepted, and to help clients to achieve their goals for therapy. Philosophy of Therapy. My approach to therapy is reflective of my core belief in the resilience of my clients. My experience is that people are capable of creating and maintaining healthy relationships and are capable of taking positive action in their lives to solve their problems and to meet their personal goals. I have seen individuals, couples, and families exhibit tremendous courage and strength in the most difficult of circumstances and have witnessed lives and relationships healed and transformed through the therapeutic process. Therapy is not necessarily a lengthy process. How long we work together depends what issues you wish to address and what your goals are for therapy. My mission with each client is to work my way out of a job (i.e. you achieve your goals and no longer have need of my services). There is no time like the present. Call or email me and let’s talk about how I can be of help to you.